I’ve taken a few months off writing this blog and for good reason – my digital soapbox has been undergoing major renovation! Over the years, we’ve assembled some of the most talented people in the design industry. As a result, we’re proud to say we’ve built a house that’s part business, part school and part family. Realizing we’re stronger and have more to offer as a whole, we’re coming home to center. 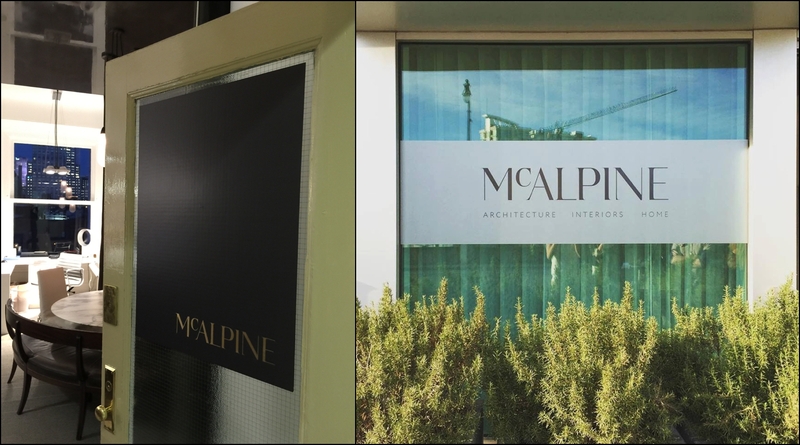 So we have married our firms McAlpine Tankersley Architecture and McAlpine Booth & Ferrier Interiors. 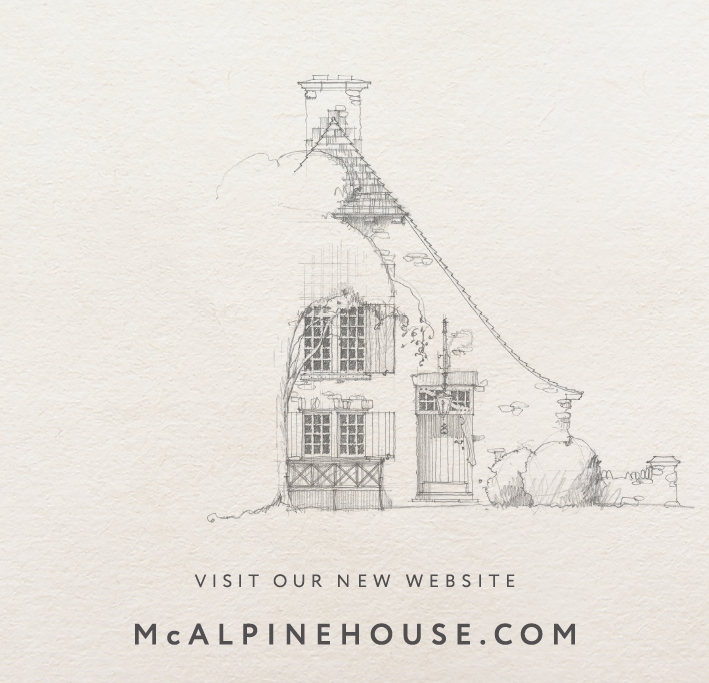 We’re now simply McALPINE. Under this big, splendid roof, we are doing it all and doing it all together offering full architectural and interior design services in our four locations: New York, Atlanta, Nashville and Montgomery. And this rebranding (I despise that word – it makes us sound like we’re New Coke) called for a new look. Of course, being designers, we’re all up for redecorating! Since this was our chance to be the client for the change, we set about interviewing ad folk from all across the country. Of initial importance to us was a untainted eye. We wanted to work with someone who had never really worked with an architect or interior designer before. All pre-conceived images of what makes an Architect® or Interior Designer® was to be left cleanly at the door. We’ve never been like anyone else so we didn’t want to look like everyone else. After an exhaustive search, we landed in the capable hands of the Washington D.C. based firm Design Army. We were initially drawn to their work because it was at once classic, fresh and evocative – traits we try to embody in our own doings. This group, however, tread mostly in the worlds of Fashion, Theatre and Entertainment so we were curious to see what they would make of us. Next up was the website – one thing we wanted was something that would evoke powerful emotion right off the bat. I likened visiting a designer’s website to speed dating – you’ve got a limited amount of time and attention span to make someone fall in love with you. Still pictures (a designer’s stock in trade) can start to do that but excitement certainly built when the discussion turned to the creation of a movie. I’m a big connoisseur of movie trailers and TV show openings so the concept of a two minute film containing our work and words seemed ideal to tell our story. The new logo has also begun to appear on our respective office doors. New York and Nashville are already flying under the new flag. All four of our bases are now fully staffed with both architects and interior designers so we can offer the finest of fully integrated or separate services. Our family welcomes invitation into yours. Bobby McAlpine, Ray Booth, Susan Ferrier, Chris Tippett, John Sease and David Baker. I love the name, and just as important, I love the font for the logo. It’s strong but inviting. Your posts are always something I look forward to. The is a real WOW! Congratulations to all of you for a wonderful beginning. Love the new look. It evokes your signature style. Congratulations to all. Love the video and new site. What is the name of the music, please? Thanks! You know, I have no idea. We selected it from one of those music rights purchasing sites that our web designer directed us to. Congratulations! The new website, logo and especially movie are certainly evocative!